Train mining equipment operators with Cat® Simulators Large Track Type Tractor. Provide an easy-to-use, cost-effective and reliable training method with virtual training. 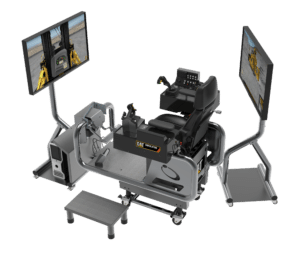 Rich graphics and authentic controls create a virtual world for the operator to experience training exercises such as a Machine Walkaround, Controls Familiarization, Tramming, Ripping, Slot Dozing, Dozing Over a Highwall, Slope Maintenance, two Open Training modes, and more. Plus, record and report each simulator session so operators, instructors and administrators can see the results. 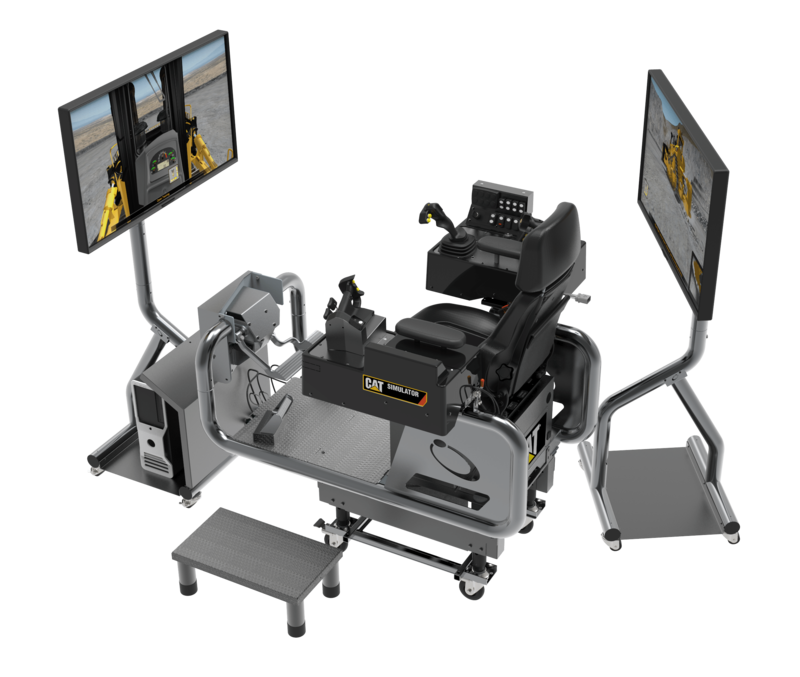 Train mining operators on a Large Dozer Simulator System to get them up to speed! Hardware – Frame and controls needed to operate the simulator, computer, mouse, keyboard, seat, two monitor stands and two 43″ (front) and 32″ (back) monitors. Software – Large Track Type Tractor Simulator software and SimU Campus Training Records Management software. Languages supported in the software include English, French, Portuguese, Spanish and Chinese. The Large Track Type Tractor Simulator System comes with exclusive companion training material for the iPad. An interactive eBook expands simulator training for classroom or self-study. Topics include safety, maintenance, application methods, video examples, operation tips, how-to images, formulas and more.